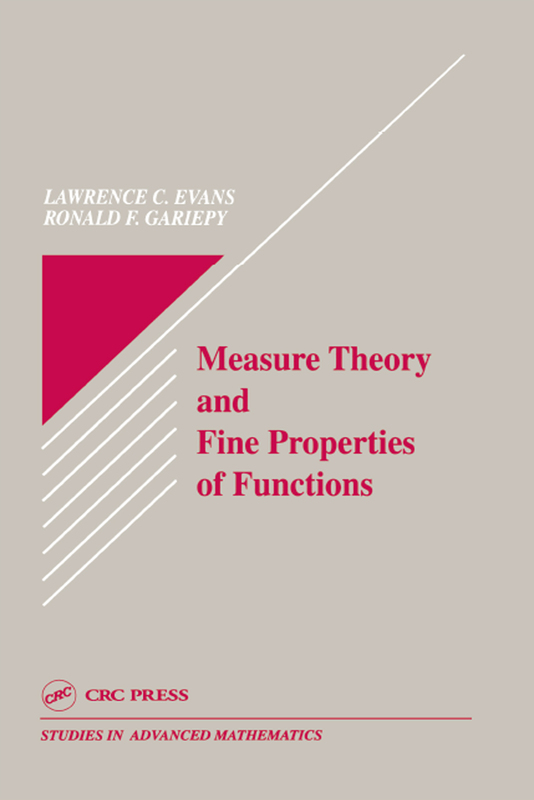 This book provides a detailed examination of the central assertions of measure theory in n-dimensional Euclidean space and emphasizes the roles of Hausdorff measure and the capacity in characterizing the fine properties of sets and functions. Topics covered include a quick review of abstract measure theory, theorems and differentiation in Mn, lower Hausdorff measures, area and coarea formulas for Lipschitz mappings and related change-of-variable formulas, and Sobolev functions and functions of bounded variation. The text provides complete proofs of many key results omitted from other books, including Besicovitch's Covering Theorem, Rademacher's Theorem (on the differentiability a.e. of Lipschitz functions), the Area and Coarea Formulas, the precise structure of Sobolev and BV functions, the precise structure of sets of finite perimeter, and Alexandro's Theorem (on the twice differentiability a.e. of convex functions). Topics are carefully selected and the proofs succinct, but complete, which makes this book ideal reading for applied mathematicians and graduate students in applied mathematics.